For decades, Québec City’s Fairmont Le Château Frontenac has hosted visitors, dignitaries and celebrities inside its imposing location at the top of the city. The impressive castle (and most photographed hotel in the world) welcomes over 300,000 guests annually with over 75 weddings celebrated on its property. 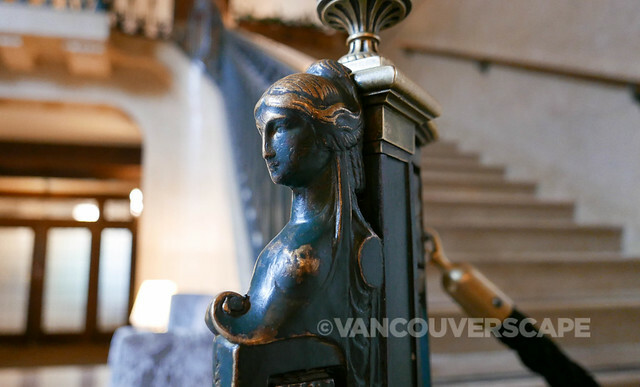 The iconic hotel sits on the site of the Saint-Louis Forts and Châteaux that served as the official residence and seat of power of the French and British governors for over 200 years and in 2014 received a 75-million dollar upgrade in preparation to ring in its 125th anniversary. I recently had the pleasure of calling the castle my home for three nights as I explored Québec City and the 50th anniversary of Festival d’Été de Québec. Fairmont Le Château Frontenac owes its name to flamboyant French governor Louis de Buade, Count of Frontenac who guided the destiny of New France from 1672 to 1698. 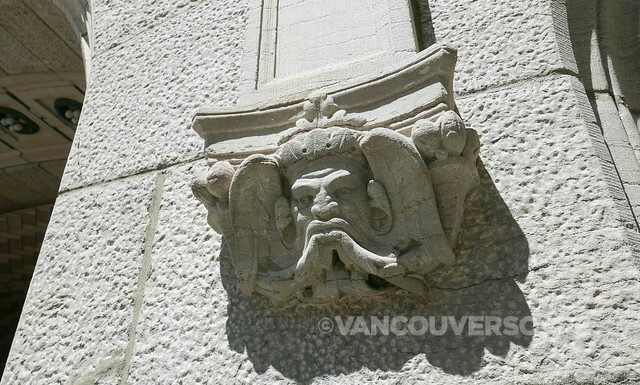 His coat-of-arms can be seen on the outside wall of Le Château’s entry arch and in many other areas within the hotel. 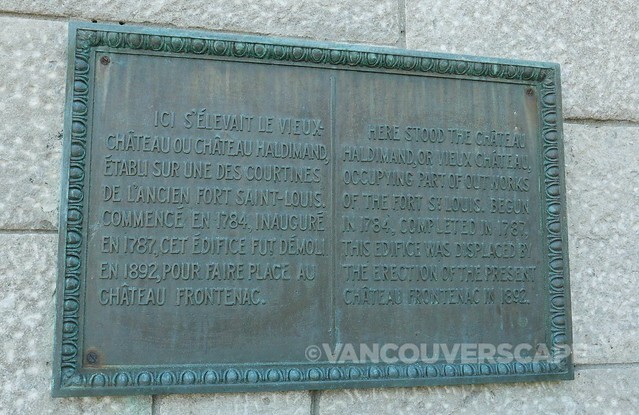 After Les Châteaux Saint Louis and Haldimand, residences of the French and English governors for over two centuries, Cape Diamond had lost its prestige. 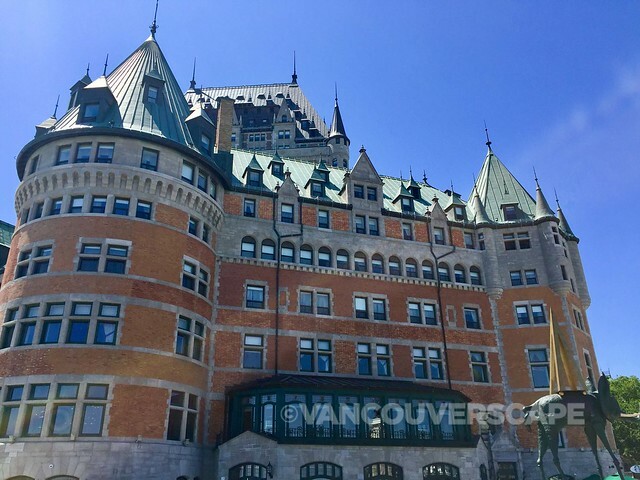 Successive plans for a grand hotel in Québec City never materialized until Canadian Pacific Railways (CPR) president William Van Horne came along with enough cash to build the ideal stopover for CPR travellers — Le Château Frontenac. Renowned New York architect Bruce Price drew on the architectural styles of the Renaissance and Middle Ages to realize the ideal and in 1893, the hotel’s first wing was inaugurated. 93 of its 170 rooms had fireplaces and bathrooms, considered luxury amenities at the time. During the years that followed, expansions brought the hotel to its current 611 rooms plus a central tower that reaches the 18th floor. The Frontenac’s outdoor terrace, fitness center and indoor pool were added in 1993. In 1939, Le Château Frontenac welcomed King George VI and Queen Elizabeth. A luxurious suite was appointed in honour of the official visits of Queen Elizabeth II and his Excellency the Duke of Edinburgh. Princess Grace of Monaco and Prince Rainier III occupied a suite of the Château during their presidency of the Queen’s Ball at the Quebec Winter Carnival in February 1969. 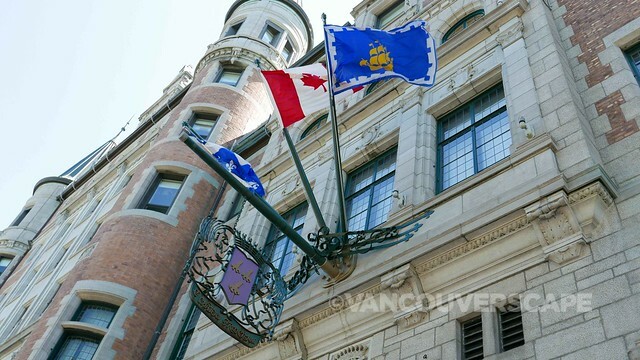 The Château Frontenac also counts Prince Andrew and Lady Sarah Ferguson of England among its royal guests. In August, 1943 (and again in September 1944), Le Château Frontenac became the center of the Quebec Conferences of World War II involving U.S. President Franklin D. Roosevelt, British Prime Minister Winston Churchill and Canadian Prime Minister William Lyon Mackenzie King. The heads of the Allies held talks that proved decisive to prosecuting the war to a successful conclusion. 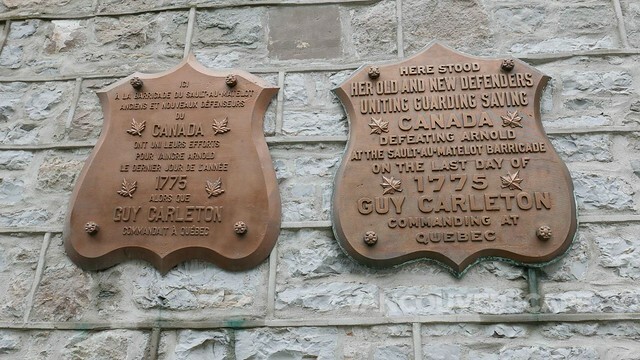 The Château has played host to many illustrious American and Canadian political figures and celebrities over the years: Theodore Roosevelt, Dwight Eisenhower, Charles De Gaulle, Richard Nixon, Jimmy Carter, Ronald Reagan, Pierre Eliott Trudeau, Brian Mulroney, Paul McCartney, Celine Dion, Leonardo DiCaprio… and the list goes on. In 1952, the Château was even transformed into a movie set for Alfred Hitchcock’s movie, I Confess. My room was comfortable, well-lit and easy to call home for a few nights. Luxury linens atop Sealy Posturepedic mattresses give sound sleep and support. 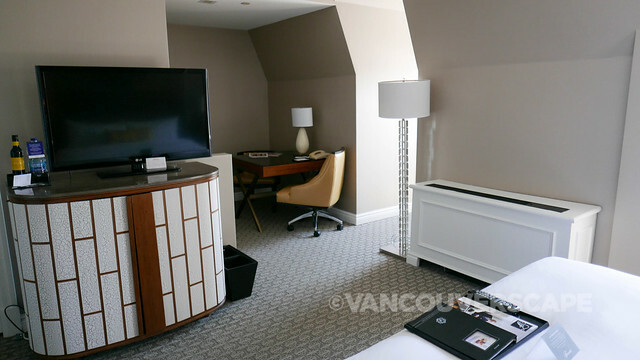 Windows swing open to allow fresh air into the room, a great alternative to the hotel’s airco system. 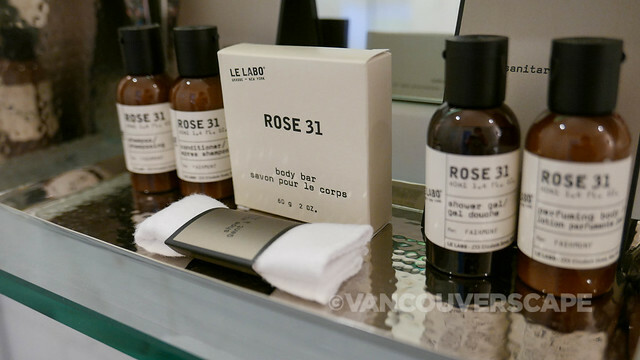 The bathroom’s stocked with Le Labo amenities (Rose 31 series) and a Keurig coffee machine, water kettle and Fairmont tea assortment is located in a large wooden cabinet. I enjoyed breakfast buffets in Place Dufferin located in the hotel’s terrace level with views looking out to the St. Lawrence River. 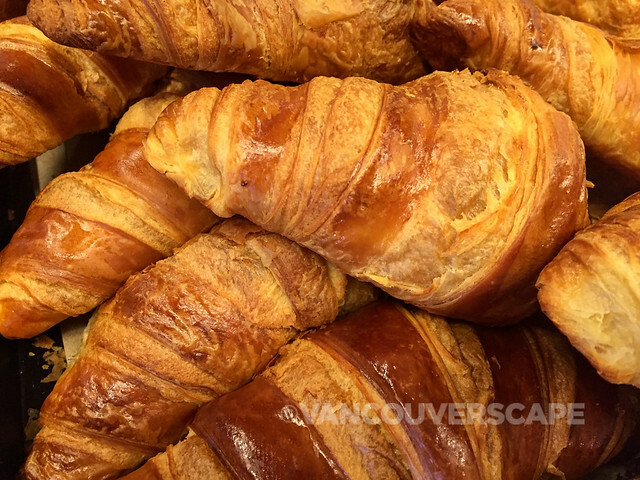 An assortment of gorgeous fresh croissants, fruit, cheeses, omelette station and a carafe of coffee at the table make this one of the nicest starts to the day while touring Québec. 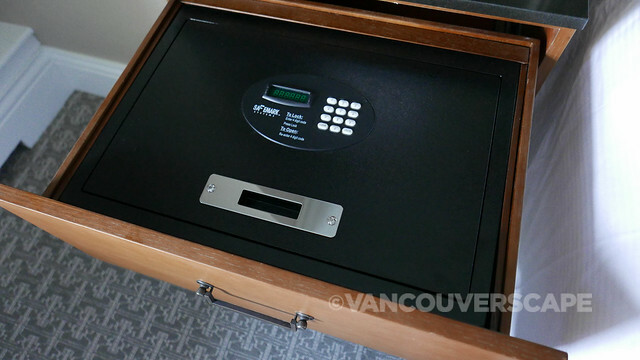 As with many other Fairmont Hotels, there’s rooftop bee hives that produce about 650 pounds of honey each year. The 1608 Wine & Cheese Bar is great for cocktails while The Champlain Restaurant offers modern cuisine from Chef Stéphane Modat and team. Bistro Sam is ideal for lunch, casual happy hour bites or cheese boards to enjoy with cocktails or a glass of wine or beer. 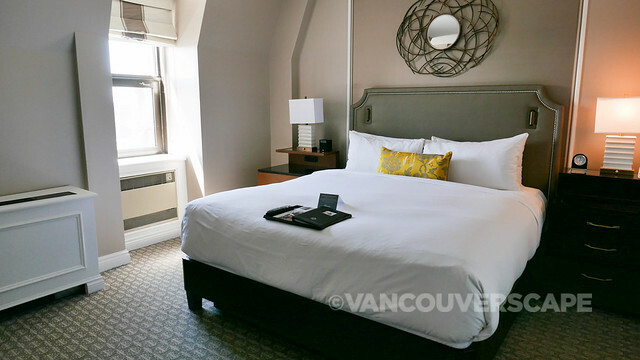 While I didn’t get the chance to use the indoor pool, steam rooms, exercise room or spa, these are all part of the Le Château Frontenac and make a getaway to this beautiful old city all the more enjoyable. 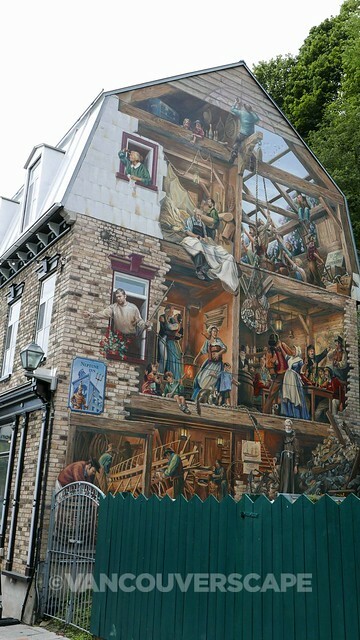 Another great way to appreciate the Frontenac and its surroundings is by taking an Old Québec walking tour. Although the two-hour tour offered by Tours Voir Québec normally begins inside the Québec Tourist Info Centre across the park from the hotel, guide Richard Sequin meets our group inside the hotel lobby. 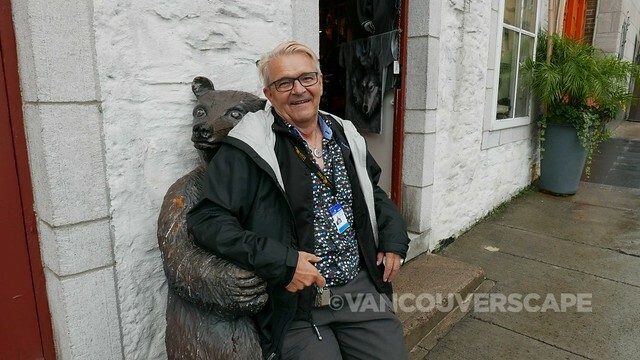 Richard’s full of detailed historical facts about Quebec and we engage with him as we head around the old city, ending in the lower part of town near Petit Champlain, an adorable pedestrian street filled with artisan shops and galleries, cafés, speciality food stores, ice cream parlours and restaurants. 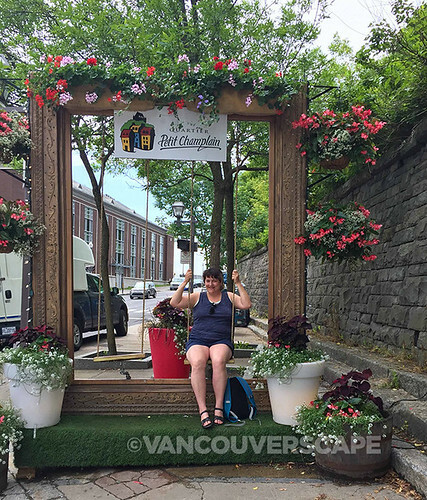 We learn about the city’s history through its early settlers, periods of war, politics, architecture and its status as a designated UNESCO World Heritage City. 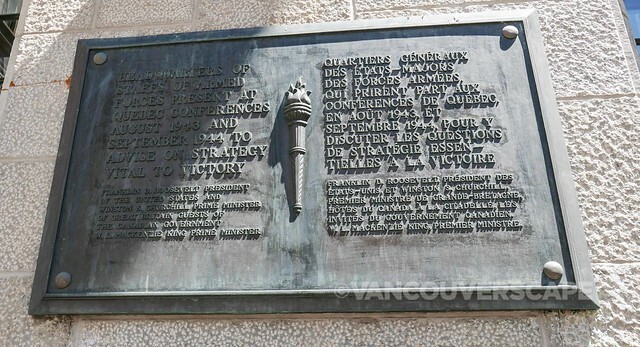 Did you know that Charles Dickens was the first travel writer to visit Québec City? Back in 1850, the writer came to check out “Where the river narrows”, the Algonquin translation for Québec City. 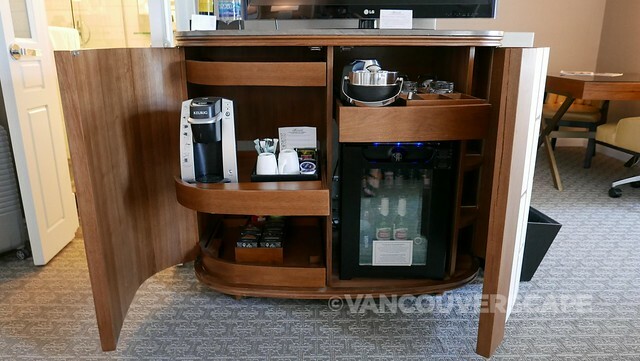 The tour is well-paced to allow questions — and as we were on a private tour, a brief coffee stop. Richard knows the best cafés in town as well. 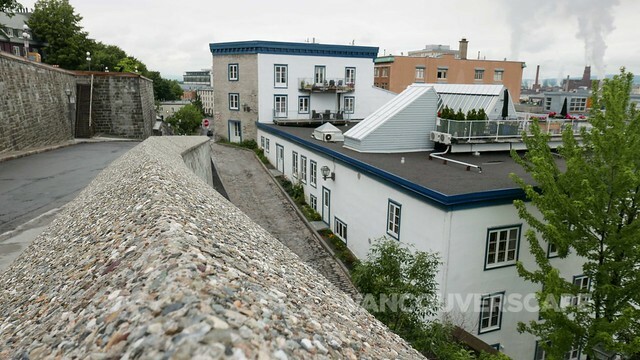 Québec’s buildings are detail-rich, making a walking tour ideal for architecture lovers. 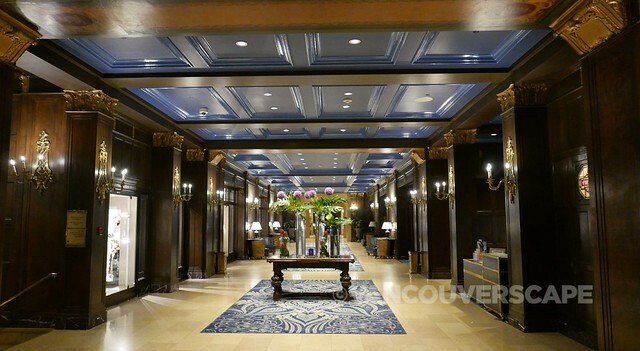 I was hosted at Fairmont Le Château Frontenac courtesy of Québec City Tourism. Opinions, as always, are my own. Non-watermarked images courtesy of Fairmont Le Château Frontenac.